For whatever reason, individuals seem to be drawn to certain colours. Maybe it is entrenched from a young age; perhaps you were told that a particular colour really suited your complexion, you liked the way that felt, and before you know it, you favour that colour in almost every aspect of your life. Or perhaps you like the way a colour makes you feel. Green, for example, I find very soothing and calming…and who doesn’t need that kind of influence in today’s world?! Being surrounded with natural greenery or accessorising with green through my home, helps create a feeling of Zen. The benefit of favouring a colour, is as you become more comfortable with it, you build confidence in playing around with it, trying different combinations, and experimenting with different ‘looks’. A colour can dictate a theme within a home, or create a scheme for a wedding, or party. It is not necessary to match your flowers to the other elements, instead, you use the flowers to tie the other elements together. Perhaps you like a particular colour flower….well, you can use that as your inspiration and build your colour scheme around it. This week, we take a look at BURGUNDY. Burgundy gets its name from the colour of Burgundy Wine, and often the terms Burgundy, the French term “Bordeaux” and Wine are interchangeable to describe the colour tone. Burgundy is a shade lighter than maroon, and became the most popular hue for lipstick back in the 1990’s. 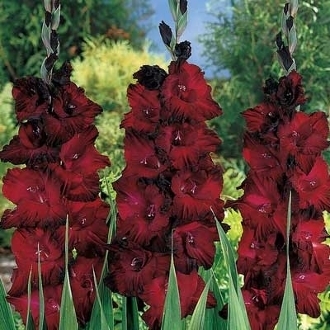 It is a rich deep red to brown colour with a purple tint. 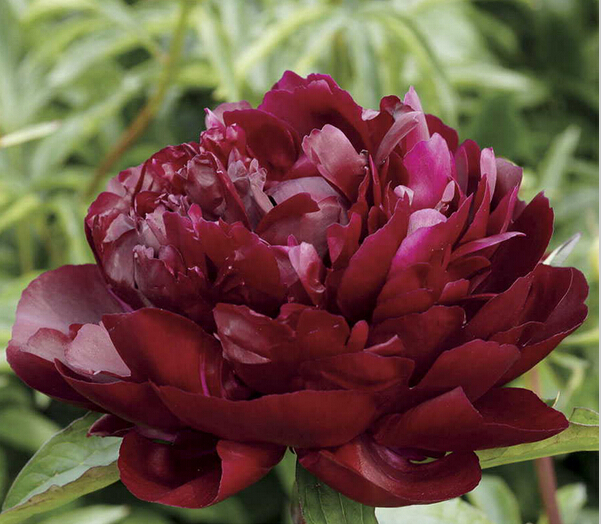 It is a rich and sophisticated colour associated with a love of the luxurious. It is thoughtful and controlled, serious, rested, yet warm and comfortable. Deep violet, burgundy, gold, antique blush and soft grey tones; the perfect balance of rich and soft colour tones. This mix has a touch of vibrancy with the addition of the gold. Rich burgundy teamed with sage green, navy blue and blush pink is a grounded combination that features earthy tones together with the soft femininity of blush pink. Depending on how much of the blush tones you decide to use, this mix could be fairly deep, dark….even moody, making it quite a dramatic choice. The combination of mauve, soft pink and soft grey would be very soft and pastel. In fact, if not played against something rich, it could end up looking rather insipid. But, put together with the deep sophistication of burgundy, the mix is rich and romantic. 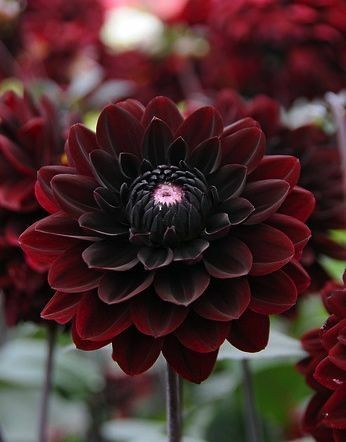 Check out the gorgeous burgundy flowers that you can choose from if you decide to use it as your inspirational feature colour. 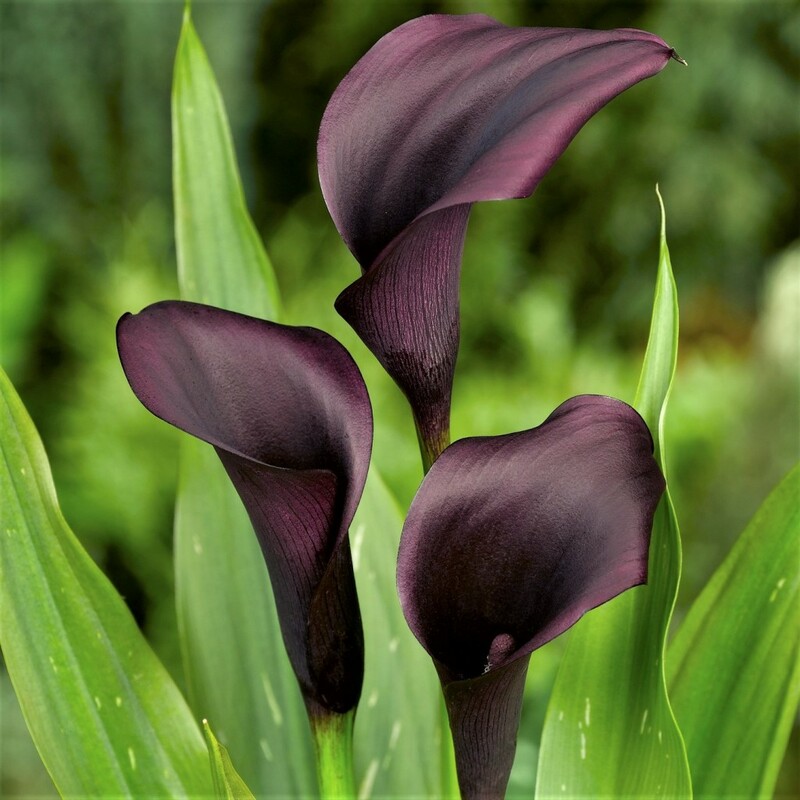 Burgundy Calla lilies are sometimes referred to as Black in colour. 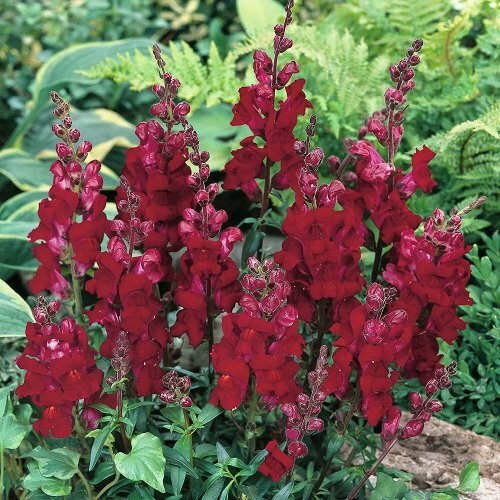 Like everything in nature, colours will vary, and what may be considered burgundy in one flower variety could vary wildly to another burgundy flower. Colour schemes are not as straight forward as picking from Pantone colour charts, it is impossible to match things in nature like that. Instead choose a scheme and understand that matching colours is not imperative to make a scheme work, but rather working with tonal variations. Floral literacy is something that all of us should learn about. The knowledge derived from knowing which type of flower matches perfectly for different occasion makes it a whole lot easier for us to purchase flower bouquets and arrangements from a reputable florist in Sydney. The budget allocation for flowers will depend on how much you value the overall aesthetics on your wedding day. There are some couples who wish to keep flower arrangements to a minimum, whilst some will opt for grand and elaborate Sydney wedding flower packages to be installed along church isles, reception tables, and the bride’s bouquet. The budget for bouquets and flower arrangements will depend on your budget. 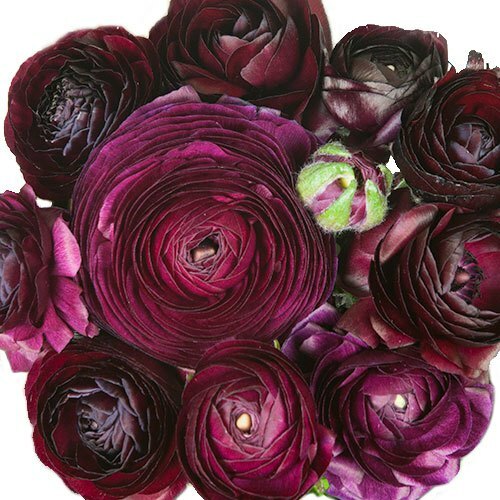 Inquire about wedding flower prices in Sydney and make a reservation as soon as you are able. If you have a limited budget for wedding flowers, one great way to save more money is by opting to buy from local florists. An affordable wedding florist in Sydney with extensive experience and specialisation for weddings is your best option. A wedding florist will help you realise your vision for wedding flower arrangements and bouquets. They can recommend beautiful flowers that are in season or cheaper around your wedding dates. If you want to make your wedding look beautiful without spending too much of your budget on flowers, some floral literacy is a must. It is important to familiarise yourself with the most popular flowers for weddings. Are you leaning towards colourful blooms or do you also want to showcase fragrant flowers at your wedding? Some of the most popular wedding blooms are roses, hydrangeas, lilacs, freeasias, jasmine, and peonies just to name a few. The flowers for tables, bouquets, venue, and entourage should complement your wedding’s colour motif. The hues of the flowers don’t have to match the motif, but should blend well with the overall colour scheme. Now that you have learned all the basics for choosing wedding flower packages, it’s time for you to check out the vibrant and lovely flower selection here! For enquiries, you may also reach us on 02 8971 1666. Learning the language of flowers can be a little overwhelming and intimidating for first time shoppers. If you are a bride-to-be, one of your tasks is to decide on the right flowers for your wedding venue, reception hall and bouquets. Even if you have assigned a wedding organiser, you need to have a firm understanding on how to pick flowers in order to choose the best flowers for your special day. Before scheduling an appointment with the best wedding florists in Sydney, you need to finalise of the dates and venue for your wedding. It’s important that the date and venue have been locked in as this will decide on whether the florist can meet your request. Different types of flowers bloom at different times of the year. It’s also best to ascertain your wedding colour motif and gown design. The flowers that should be used at your wedding venue and reception should complement the motif of your wedding dress and design. Another important reminder before looking at the cost of wedding flowers in Sydney is to have an inspiring vision of what you want the flower arrangements to look like. Since this is an important milestone in your life, you want only the best. You can have the most magnificent flower arrangements and exquisite bouquets without breaking the bank. By putting in some research on flower availability, having a few ideas in mind and then planning arrangements months before your wedding day, you will most assuredly save a lot of money. 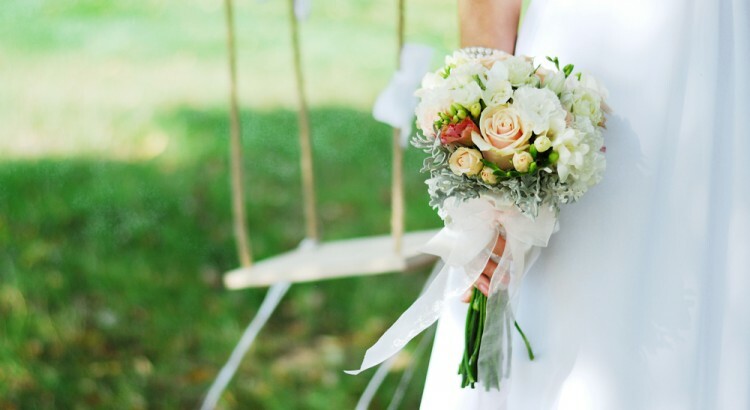 Choose from bridal bouquet arrangements that complement the design elements of your gown. The silhouette of your wedding dress will also point you towards the right direction during the shopping stage. For instance, if you are wearing a modern, minimalist gown, single flower bouquets are highly recommended. On the other hand, if you are going to wear a traditional wedding ball gown, a bouquet of luscious and round flowers are a better choice. If you want to learn more on how to pick the best and affordable wedding flowers for your upcoming special day of union, click here. If you need assistance, you may also reach us on 02 9871 1666 today. I know what you are thinking….you think we have made a spelling error title, but I can assure you, it’s not. 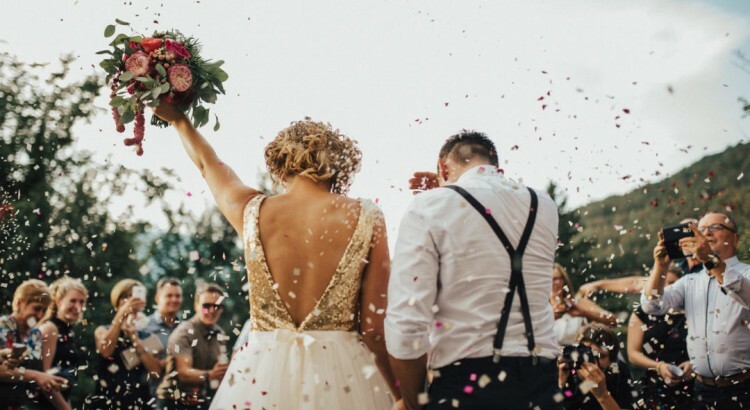 The wedding industry is fuelled by fad and fashions, and we as florists are guilty of running with the herd when a trend takes hold, it is a business after all. The question is, are we making short sighted decisions based on profit, perpetuating the problem of glamorising the use of weeds. A weed is generally a term we use to describe ‘a wild plant growing where it is not wanted and in competition with cultivated plants’. The reality is, sadly, many of the plants florists use all over Australia, are restricted plants. A restricted plant is a plant that poses a threat to primary industries, the natural environment, livestock, human health and people’s livelihoods. They are invasive plants that need to be managed to ensure that they do not spread to unaffected areas of the state or country. Cut flowers are often transported large distances before and after sale. This means that the damage restricted plants poses to the environment, rises substantially and so does the cost to the community and the environment in the greater sense. 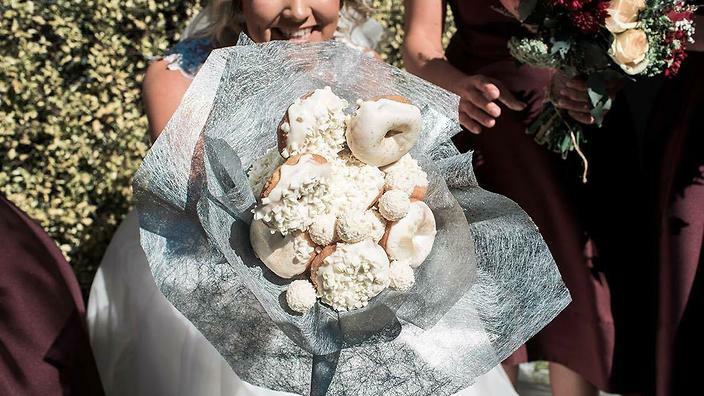 While the current wedding trends favour Australian Native flowers, many florists are teaming these flowers with noxious weeds such as asparagus fern and pampas grass. 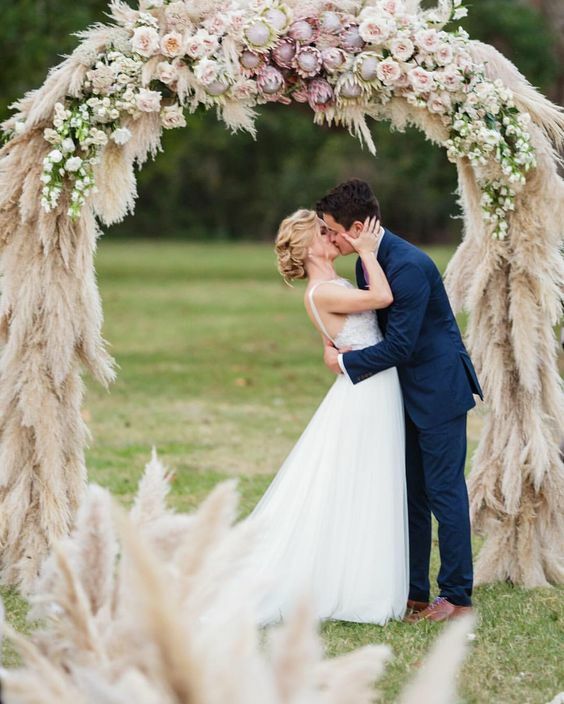 Many florist pages I follow (read: drool over) regularly use things like Pampas grass in their gorgeous arbours. The scary thing about Pampas Grass is that each head contains up to 100,000 seeds! These tiny seeds are easily picked up by the wind and carried great distances. If the plant then becomes established in an area, it takes over and restricts the growth of native plants. Pampas Grass is also a fire hazard. Cotton bush, also known as Swan pods are also a restricted plant in some states. Here, in Sydney, you will pay top dollar for the lime green balls. Unfortunately the pods contain hundreds of seeds. What the concern is, is that when the floral arrangement is disposed of, those hundreds of seeds will have the opportunity to germinate, and therefore the plant may spread in a far wider sense than if the seeds were carried by wind and rain naturally. Another couple of favourites are Privett Berry, and doddavine. Despite being restricted plants, these are hot sellers in the flower market. 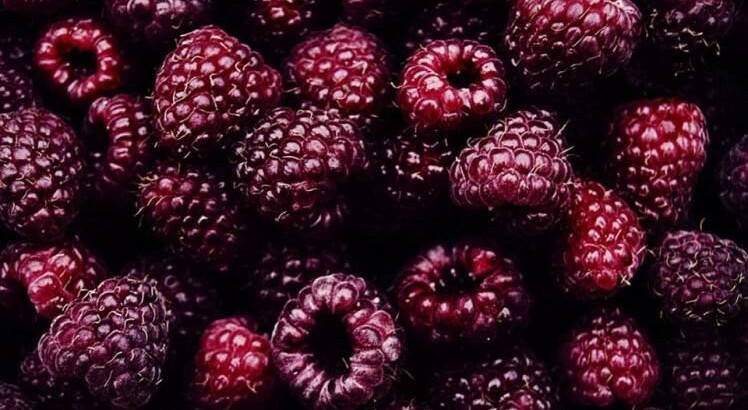 Whether lime green, or ripened in a deep navy blue, the Privett berry provides a cost effective, and textured choice for bouquets and arrangements. 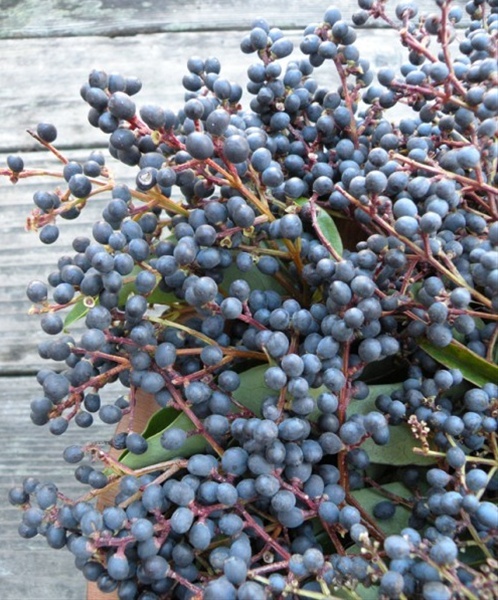 But as you can imagine, when those tiny little berries begin to dry and drop off, they become sprinkles of destruction. Doddavine, which is also known as ‘Strangleweed’ grows everywhere, and in the Australian bush as the name suggests, it strangles everything in it’s path. There is of course a way you can have your cake, and eat it too, so to speak. 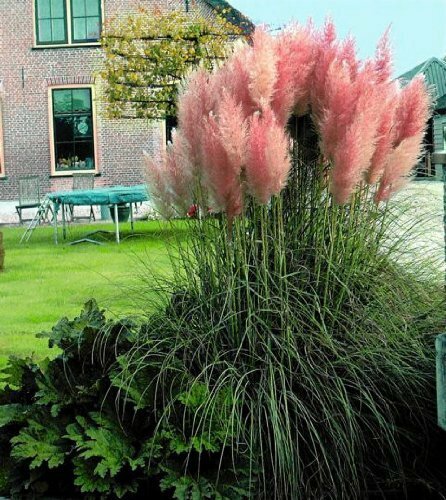 If you have your heart set on a restricted species, such as Pampas Grass, you can make sure that you source the product from overseas or that it has been treated by way of irradiation. Some venues and wedding planners may even insist on a treatment certificate to ensure that are able to continue to protect our beautiful environment. It is certainly going to take some time, and it will be extremely hard to regulate but it seems that a change is coming. Now it’s time for us all to decide if we are going to run with the herd this time…or be left behind. Sending flowers is one of the sweetest gestures one can make to show their affection. Whether you are sending a dozen flowers to your significant other or a flower basket for a family member, you need to make sure the flowers are fresh and properly arranged. If you live in Cherrybrook, you may be wondering where the best florists are located. There are many flower shops in Cherrybrook and you can check out the physical stores, but seriously, who has the time for that? Lucky for you, the best flower delivery service in Cherrybrook is available online. If you’re looking for the best and freshest flowers in Cherrybrook, our Cherrybrook florist can style the arrangement you’re looking for. The beauty of ordering flowers online is that you can choose from a wide selection of flower arrangements that will certainly make all occasions sweet and unforgettable. A major advantage of ordering flowers online is that customers are given the option to provide their special requirements or requests in terms of styling and arrangement. 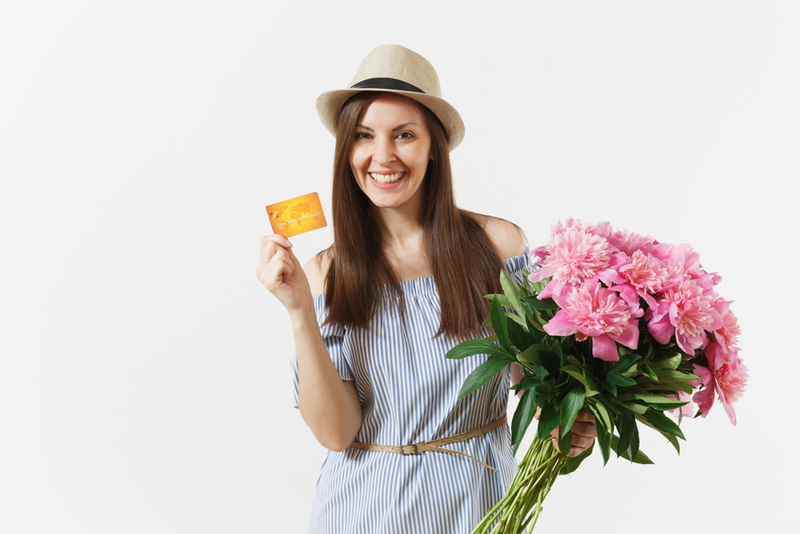 Customisation will cost extra but is worth every dollar when you see the surprise and appreciation expressed by the recipient of online flower delivery in Cherrybrook. Different flower arrangements express a variety of feelings from the sender to the recipient. Nothing conveys deep affection like a bouquet of Ecuadorian roses. Make your mother’s birthday more memorable by giving her a pretty bouquet delivered in a vase of daisies, chrysanthemums, and lavender. 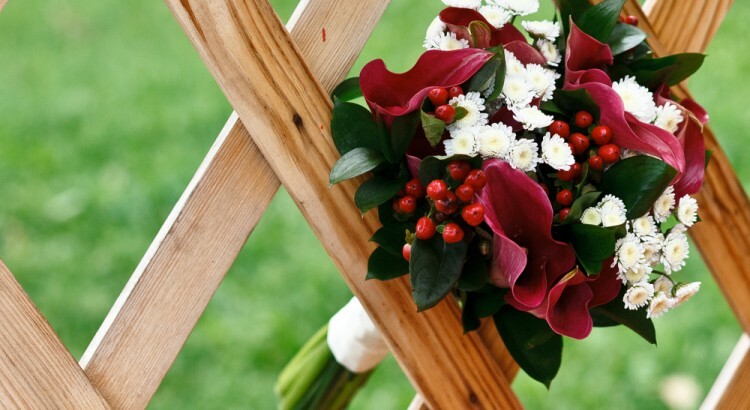 A reputable Cherrybrook florist can provide different arrangements for all occasions; from birthdays and graduations to expressions of sympathy for the loss of a loved one. What makes flower delivery in Cherrybrook more impressive than they already are? The fast delivery makes the cost of flower delivery worth every penny. 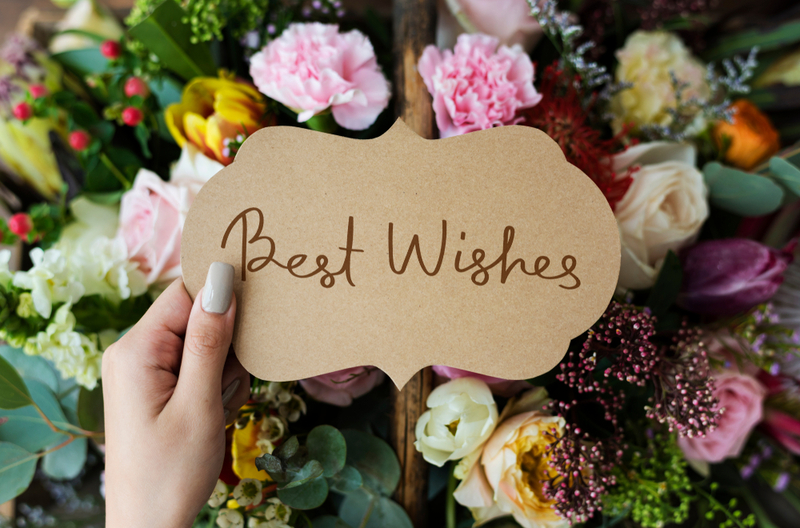 If you want to make last-minute orders for a special occasion you almost forgot, Cherrybrook florist offers same day flower delivery. You can have flowers delivered at a recipient’s doorstep a few hours after ordering online. Check out our unique and lovely flower arrangements by clicking here. Feel free to call our hotline on 02 9871 1666 for orders or for quotes. Why Should You Get Florist Delivery Services in Beecroft? Gift giving is a beautiful tradition that we all practice to celebrate special occasions. Flowers are one of the most popular and thoughtful presents that we can give. Sending flower arrangements is an excellent gift idea as an acknowledgement of our feelings to loved ones. So why should you send flowers in the first place? You don’t need a special occasion to send flowers to loved ones. 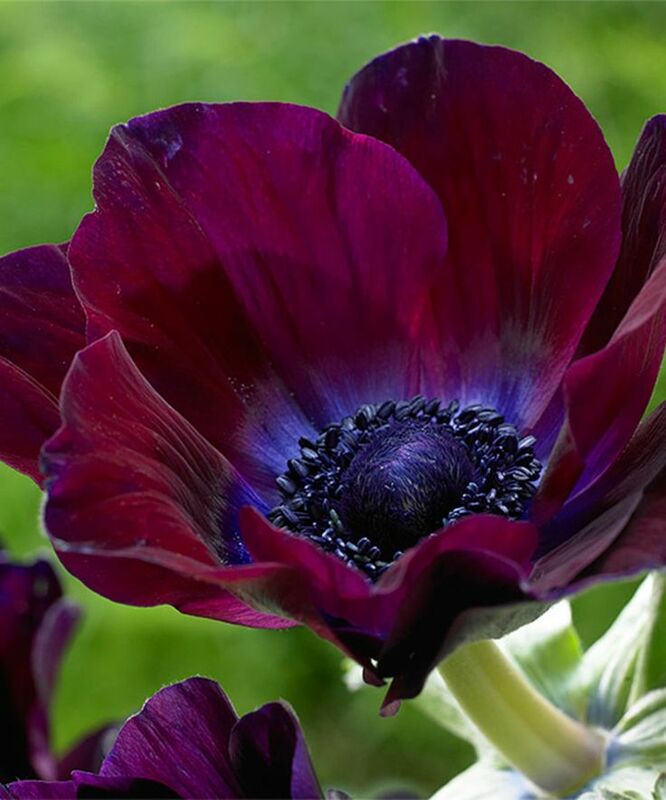 Flowers are Mother Nature’s presents that are innately beautiful. If you see beautiful flowers online, don’t hesitate to order from a reputable florist in Beecroft. They will send your order to the intended recipient the same day or when you want it delivered in the future. Make someone smile with the simple but thoughtful gesture. You don’t have to be in celebratory mode to send out flowers to friends and family. If your significant other is having a bad day or if you simply want to be the reason for somebody else’s smile, go ahead and ask a florist near you to deliver flowers to your special someone. Flowers are undeniably the best expression of apology to people you may have disappointed. There’s no more sincere way to show that you are genuinely sorry than a bouquet of beautifully arranged flowers from a trusted florist that can deliver your flowers straight to your love ones. Flower arrangements are not only limited to happy occasions but are appropriate in times of difficulties, too. To show sincere sympathy to a bereaved family, friend or relative, there are specific flower arrangements for funerals. These arrangements are tasteful and elegant at the same time. Acts of kindness may also be expressed by delicate and beautiful flowers from Florist with Flowers. Again, you don’t need to wait for a special occasion to show that you care for the people in your life. Pick at random from your address book or contact list and send them simple but elegant flower arrangements. Now that you have more than one reason to consider Florist with Flowers delivery services in Beecroft, click here to view the amazing flower arrangements that are waiting to be delivered to people who matter to you the most. To place an order or for enquiries, you may reach us on 02 9871 666. Flowers are undeniably excellent gift ideas for most special occasions. But did you know that there is also a list of rules to remember when it comes to sending flowers? 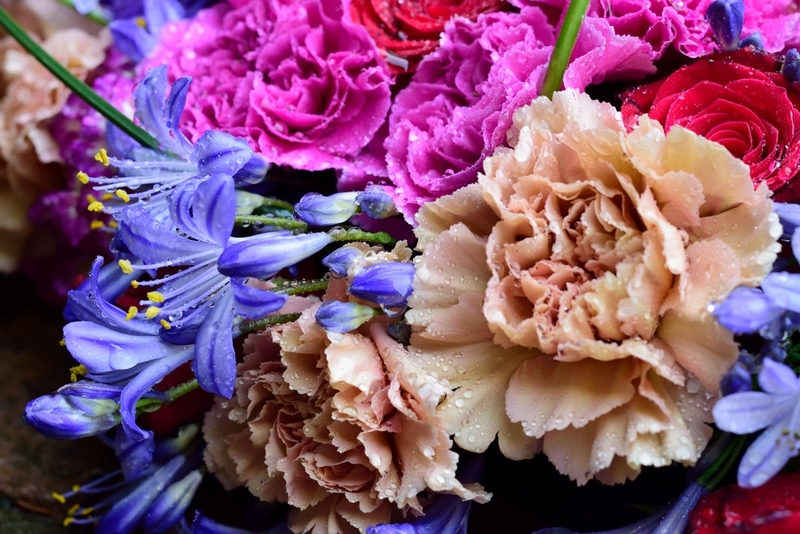 Flower etiquette is unknown to most of us but here are things you need to remember. There are certain types of flowers that can only be arranged and sent for one specific occasion. In the case of funerals, it is best to stick with lilies as they are the perfect blooms to send to grieving family and friends. Furthermore, lilies have this unique quality in them that sets off a mood of peace and tranquility inside a room or indoor venue. Before obtaining the services of the best flower delivery Sydney shop, make sure to check in with the bereaved family’s requests. Traditionally, funeral flower arrangements are displayed during a viewing or memorial service. The flowers accumulated are then transported to the cemetery during the funeral rites. There are families that may prefer receiving donations of money instead of flowers. In this case, it’s best to respect their request and not send flowers altogether. If your intention is to make a woman blush, it’s best to deliver a bouquet of flowers comprising red roses. You might be thinking that having flowers delivered to her workplace is a sweet gesture, but it’s actually not. Instead, request your flower delivery company in Sydney to send the bouquet of roses to your loved one’s home. If you plan on sending a Get Well Soon flower arrangement to a family or friend, you need to check the hospital’s policy on receiving flowers within their premises. Whilst there are hospitals that allow the entry of flowers, there are also those that restrict them. To avoid wasting your money on affordable flowers in Sydney, make sure to call in and ask about their policies on blooms. There are some flowers that are not allowed within the premises due to possible allergic reactions or the risk of infection for patients. Flowers are one of the best, unspoken expressions of love, care, and concern towards friends and family members. Surprise your spouse or loved one by sending a dozen roses or just a simple flower vase arrangement to people who matter the most to you. Check out our wide selection of blooms and flower arrangements by clicking here. To place orders or if you need assistance, call us on 02 98711666 today. Life is busy, but not too busy to become complacent with what we are eating and putting in our bodies. 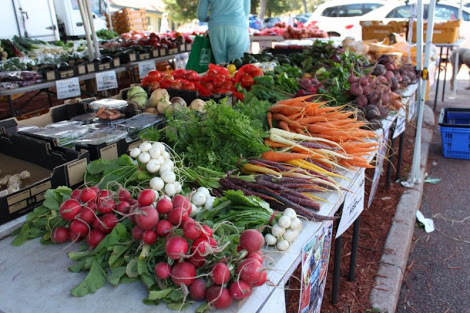 Over the years the trend for eating locally, eating organic, eating ‘whole foods’ and eating ‘clean’ foods has grown exponentially and anyone who frequents the grower’s or farmer’s market scene knows that it costs considerably more to eat this way. The all important trade off is that you know where your produce is coming from, what conditions it has been grown in, whether or not it has been sprayed with any chemicals….PLUS, it’s fresher. 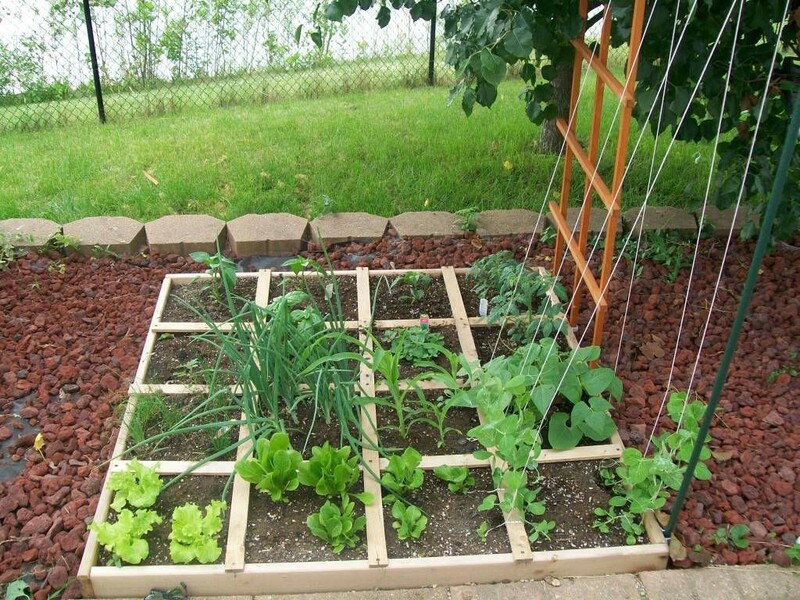 Growing your own vegetables will save you money and is great for your health. But more than that, reconnecting with nature is incredibly beneficial for our health; time in nature is shown to reduce stress, improve your mood and be soothing. Plus, it is said to improve kids attention span as nature moves at a slower pace. Today’s youth are so accustomed to things moving quickly…..busy schedules, rapid movement via screens, and instant gratification. 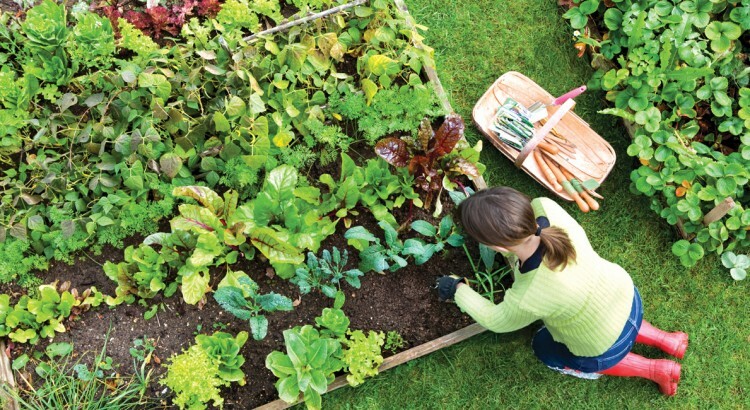 Setting up your own vegetable garden is easy and a fun project to do with the kids. But It’s also a great way to slow down life’s pace whilst teaching them about nature. Now, you don’t have to have a huge space to work with to get started. Prefabricated garden bed kits are readily available and super easy to assemble. Alternatively, wall hung systems are great in tiny spaces, as you use otherwise untapped real estate. 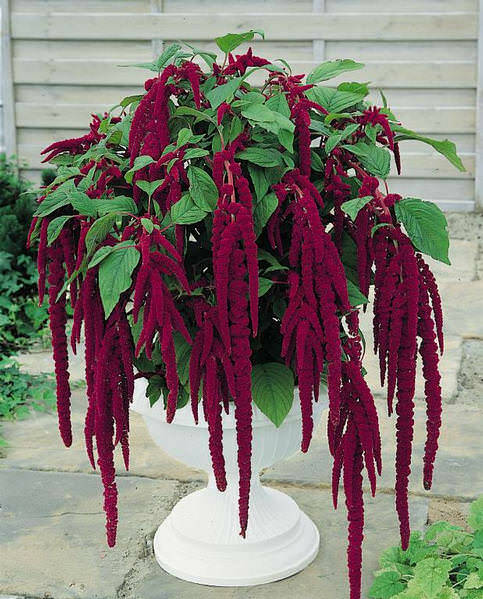 What is incredibly important to consider however, is how much sunlight your plants are going to get. Let’s face it, without sunlight, your herbs and vegetables just aren’t going to grow. Ideally your garden will need to get approximately 6 hours of sunlight a day. It is also going to require regularly watering, so make it part of your daily routine to check over your plants and give them a drink. 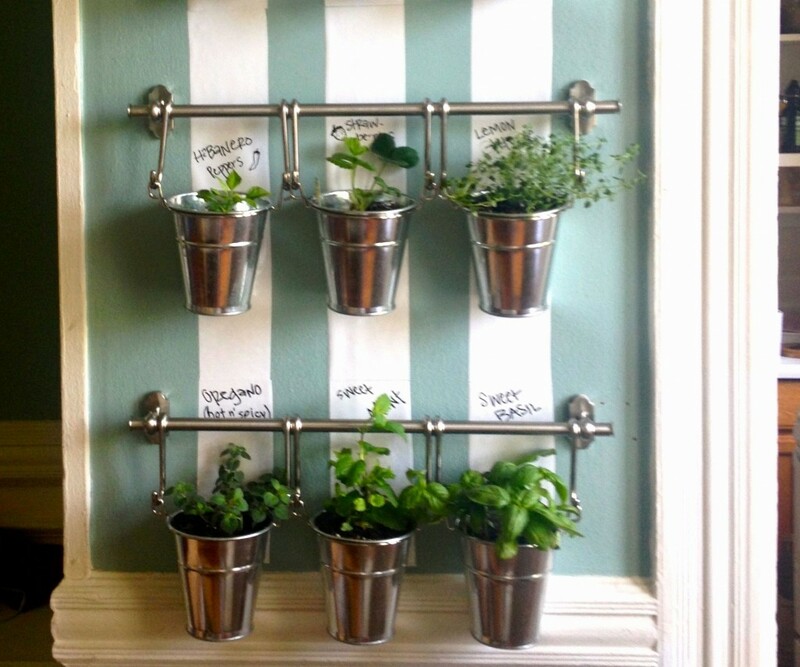 You can get started with a selection of your favourite herbs, and plant them at pretty much any time of the year. Think carefully about what you love to cook with and plant those! It makes no sense to have oodles of something you don’t enjoy or rarely cook with. The same goes for your vegetables….beans, lettuce, tomatoes and peas are all easy to grow, but you should consider what you like to eat. 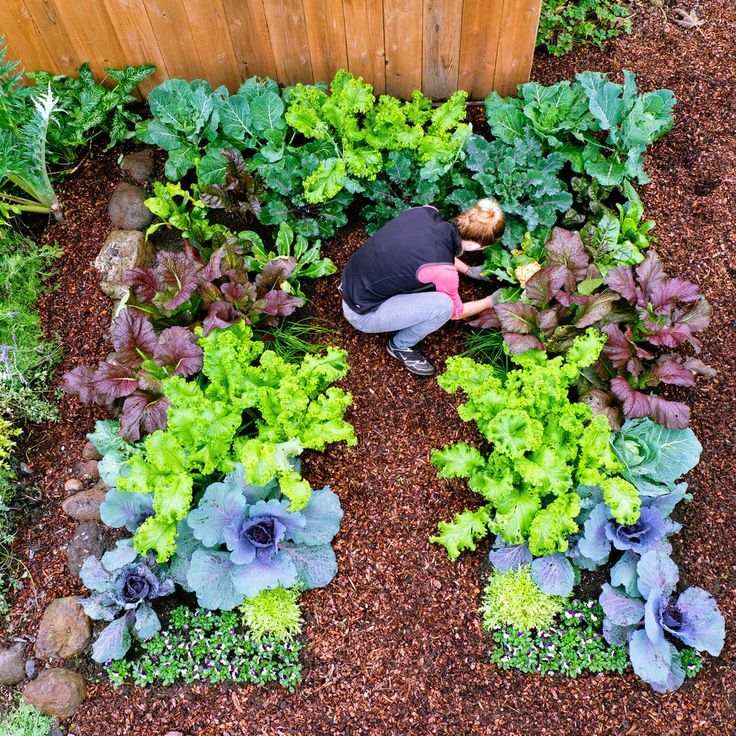 If you live in sub tropical areas beans, cabbage, carrots, cauliflower, peas, lettuce, rocket, peas, garlic and snow peas are ideal to plant throughout June. In more temperate environments try Brussel sprouts, cabbage, broccoli, cauliflower, peas, beans, radish, turnips, swedes, garlic, lemongrass, mint and strawberries. In our house, our favourite winter crops are zucchinis and coloured spinach: both take a little while to get started, but once they take off, you are left with an abundance of fresh produce. You will need to get creative in order to use your hefty harvest, but winter is a great time for making stews and soups, so you can throw a handful of each into most of your concoctions. If you are trying your hand at beans, peas or tomatoes, try growing these at the back of your garden bed on trellises. That way you are able to harvest the produce in front easily whilst the crops are supported and out of the way. It is a great time to get into the garden as the sun is more gentle and it makes the day far more pleasant was you are working. 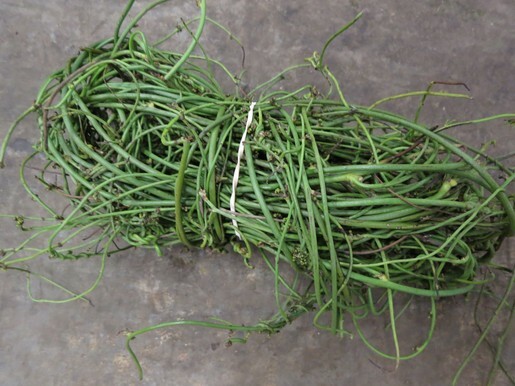 Things do tend to grow slower in the cooler months so it also makes an ideal time to pull out the weeds and make sure your garden is ready for spring! 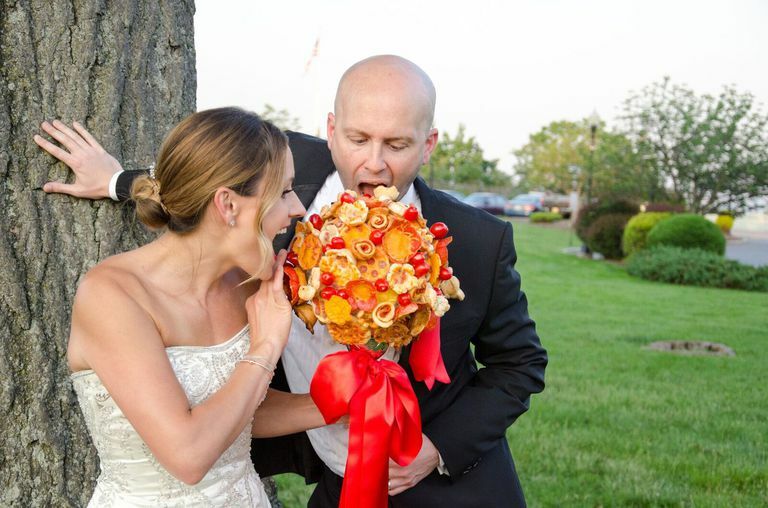 Sometime last year you may remember a blog post that revealed the latest in a string of fads, the donut bouquet. 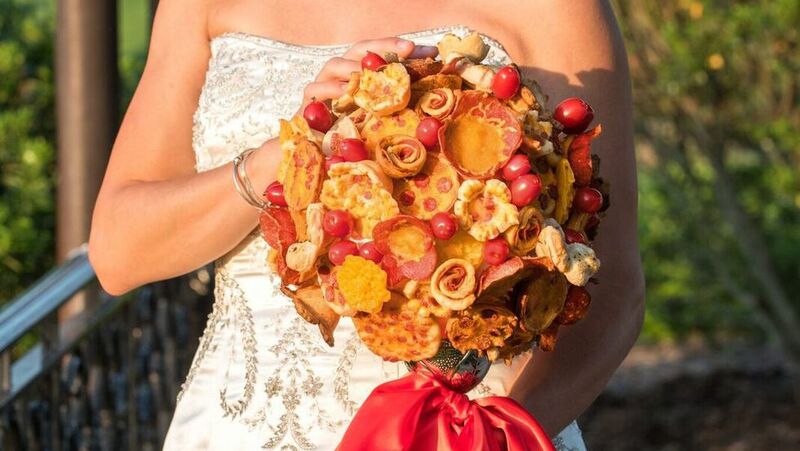 Well, if you thought things really couldn’t get any crazier….imagine for a moment that instead of your wedding bouquet being constructed with the finest and freshest cut flowers available, it was made with fresh pizza dough, whole milk mozzarella, fresh tomatoes, and pepperoni. Now don’t get me wrong, that sounds like the recipe for a successful weekend/date night/girls night in/game night…..but a wedding? Sorry, but I’m just not convinced. 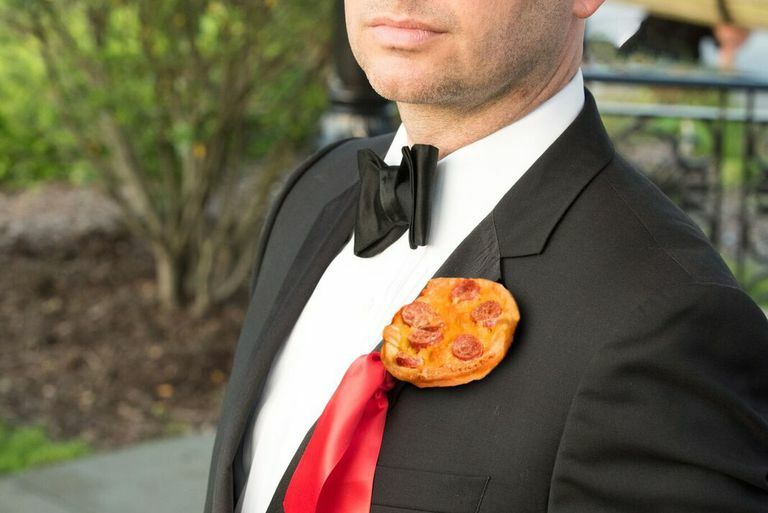 Over the American summer, Villa Italian Kitchen is running a new promotion offering couples the chance to win a Pizza Bouquet and Boutonniere with beautiful and delicate floral details hand-crafted by New York City food-stylist, Jessie Bearden. As a florist I suspect you think I’m a bit of a purist and just couldn’t possibly fathom someone choosing something other than flowers for their wedding. I guess in many ways that would be correct….but the detail that disturbs me the most is probably the idea of the greasy cheese, and tomato sauce even so much as grazing past the beautiful wedding gown. I had my own fair share of stains on my dress; there were smudges of chocolate mud cake, and copious amounts of fake tan, but imagine for a moment a large red, greasy smear across your waist and hip area, as your day is just beginning. Um….yuck. What this idea highlights is that weddings are entirely individual, and that really there are no rules that can’t be broken. You can basically create whatever vision you have in your mind. 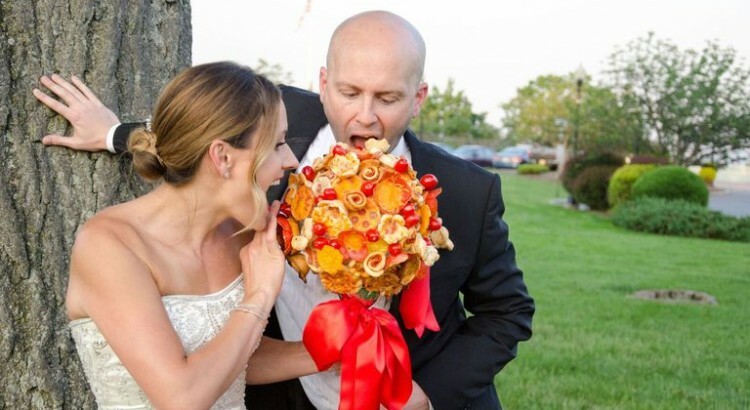 Food is an integral component of each and every wedding, and whilst I am sure there is a percentage of people out there that would be thankful for having a handy snack to calm their nerves, there is another whole set out there who may very well hurl from the smell of this greasy pizza bouquet. With that said, I am a fan of some of the innovations that have been made over the years with regards to traditional wedding fare. The towering “cheese” cake for example, is a wonderful alternative to the traditional wedding cake. Many people prefer to offer a not-so-sweet option after what can be a pretty rich meal, and this is a great solution. And while we are talking about the wedding cake, gone are the days of a plain white iced fruit cake. These days cakes of all sorts of colours, shapes and sizes are being designed for weddings, and decorated in the most magnificent ways.